Feeling, tolerating and working through uncomfortable emotions is vital in recovery from addiction. The goal of the Coping with Emotions series is to educate and provide viewers recovery tools to aid in coping with these emotions. Learning to cope with anger is vital in recovery. Unprocessed anger, which often leads to resentment, is a leading cause of relapse. 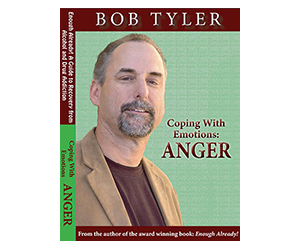 Following a brief education on important aspects of anger and resentment, this presentation introduces viewers to a variety of practical anger management tools. Viewers also learn which of these tools can be used to calm rageful anger, clearing the way to use other tools to process and uncover its true source.